Fed comments continue to suppress the price of gold. Small outflows overnight reported in all four metals in the ETF arena. Now to the news across the pond. Ms. Marie Le Pen, the French Presidential candidate, has some strong words for the people of France. I like to call her “The Gold Candidate.” Why? Ms. Le Pen said that if elected within six months, she will put together a referendum to remove France from the European Union. That just leaves Germany holding the economic hardship for all the hand out countries like Greece, Italy, Spain and Portugal. 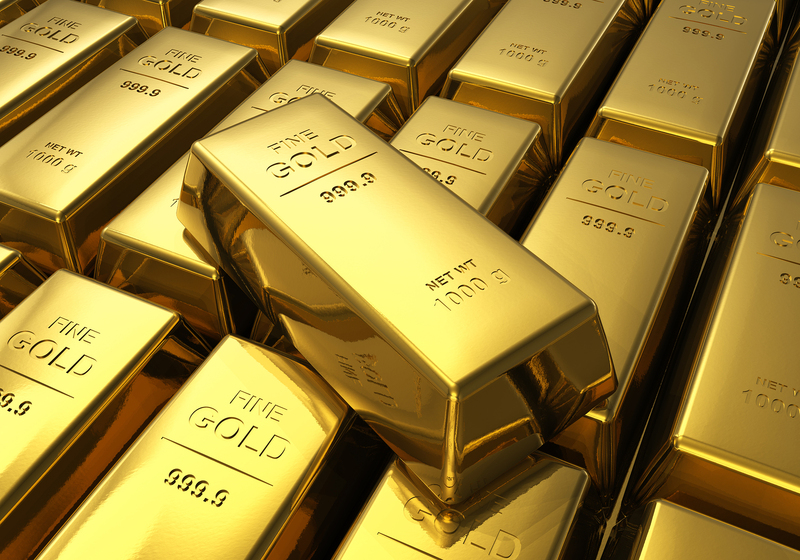 A potential breakup of the EU will have a profound effect on the price of gold. Le Pen is so adamant about her position, that she said she will resign if the people of France reject her proposal to leave the EU. She said to loud cheers and applause: “The European Union will die because the people do not want it anymore…arrogant and hegemonic empires are destined to perish,” This past Sunday, she said that the European Union will disappear, promising to shield France from globalization as she tries to fire up her base in the final four weeks before the election. Ms. Le Pen is ahead in the polls and still gaining momentum. Some polls have her doing well in the first election April 23rd, but not getting enough votes to win a majority. So it looks like there will be a run off between her and Emmanuel Macron on May 7th. Back to the states. Fed Chairwomen Janet Yellen said earlier in the week that pockets of stubbornly high unemployment remain in lower-income and minority communities despite the recovering economy and a substantially improved job market. Fed interest-rate policy is not the best tool to combat this problem, Yellen said in a speech to the National Community Reinvestment Coalition meeting, “There is a need for “effective workforce development options for these communities.” She explained that these programs should include vocational training and apprenticeships as not every student can afford a two-or-four year college degree. The Chairwoman, it seems, purposely did not discuss the economic outlook or monetary policy in her prepared remarks. No need, her colleagues are at it again. Wednesday, Chicago Federal Reserve’s Charles Evans said he supported one or two more U.S. rate increases this year. Also sharing his opinion is John Williams, San Francisco Fed president. He said, the Fed is as close “as we’ve ever been” to achieving its goals of full employment and stable inflation. Then he hinted that “THREE” more rate hikes might be appropriate for 2017. Thanks guys for sharing your opinion but don’t you think you could be more productive addressing the issues with the Fed’s 4.5 TRILLON dollar balance sheet instead of sharing your opinions between Fed meetings? So once again, comments like these put pressure on the price of gold. I continue to say these comments must stop. No comment from any Fed member between meetings is productive and “NOT” fair to the investor trying to navigate the difficult market landscape. The only Fed Reserve Bank President with any idea of what is really going on in our economy is Minneapolis Fed President Neel Kashkari. He will be speaking later today. I believe anything he says should help give the gold market a boost. What’s the difference? If they all are sharing their thought’s why not hear from someone who is on our side. Disclaimer: This editorial has been prepared by Dillon Gage Metals. This document is for information and thought-provoking purposes only and does not purport to predict or forecast actual results.It is not, and should not be regarded as investment advice or as a recommendation regarding any particular security, commodity or course of action. Opinions expressed herein are current opinions as of the date appearing in this editorial only and are subject to change without notice. Reasonable people may disagree about the opinions expressed herein. In the event any of the assumptions used herein do not prove to be true, results are likely to vary substantially. All investments entail risks. There is no guarantee that investment strategies will achieve the desired results under all market conditions and each investor should evaluate its ability to invest for a long term especially during periods of a market downturn. No part of this editorial may be reproduced in any manner, in whole or in part, without the prior written permission of Dillon Gage Metals. This information is provided with the understanding that with respect to the opinions provided herein, that you will make your own independent decision with respect to any course of action in connection herewith and as to whether such course of action is appropriate or proper based on your own judgment, and that you are capable of understanding and assessing the merits of a course of action. You may not rely on the statements contained herein. Dillon Gage Metals shall not have any liability for any damages of any kind whatsoever relating to this editorial. You should consult your advisors with respect to these areas. By posting this editorial, you acknowledge, understand and accept the foregoing.